GREENSBORO, N.C., USA, Jan. 22, 2019 – After a holiday season filled with sharing, Syngenta is proud to donate $5,000 to Rise Against Hunger®. 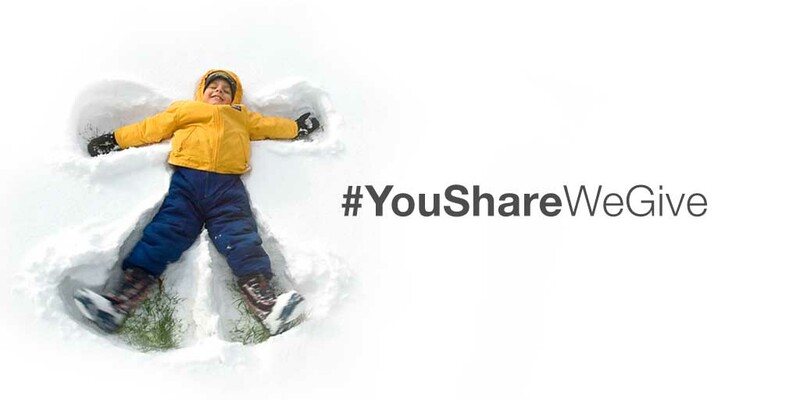 During the month of December, Syngenta invited people across the country to generate special #RootedinAg holiday frames for their social media profiles and share them with the hashtag #YouShareWeGive. For every photo shared, Syngenta donated $5 to the North Carolina-based international hunger-relief organization. The $5,000 donation is equivalent to 17,000 meals for those in need. "Ending hunger by the year 2030 is possible, and Rise Against Hunger is honored and grateful to partner with Syngenta to achieve this goal,” said Rod Brooks, President and CEO of Rise Against Hunger. "Syngenta's #RootedinAG campaign is one of the innovative ways our partners, volunteers and donors are rising to take us another step closer to achieving our mission." To read other ag news stories, go to www.SyngentaThrive.com. Join the conversation online – connect with us at social.SyngentaUS.com. Syngenta is a leading agriculture company helping to improve global food security by enabling millions of farmers to make better use of available resources. Through world-class science and innovative crop solutions, our 28,000 people in over 90 countries are working to transform how crops are grown. We are committed to rescuing land from degradation, enhancing biodiversity and revitalizing rural communities. To learn more visit www.syngenta.com and www.goodgrowthplan.com. Follow us on Twitter at www.twitter.com/Syngenta and www.twitter.com/SyngentaUS. Rise Against Hunger, an international hunger relief organization, aims to show the world that it is, in fact, possible to end hunger by the year 2030. With 28 U.S. locations and five international offices, the organization is committed to nourishing lives, providing emergency aid, empowering communities and growing the hunger movement. Rise Against Hunger has facilitated meal packaging of more than 446 million meals to be distributed in 74 countries around the world. To find out more about Rise Against Hunger’s efforts to end hunger worldwide, please visit www.riseagainsthunger.org. This document contains forward-looking statements, which can be identified by terminology such as ‘expect’, ‘would’, ‘will’, ‘potential’, ‘plans’, ‘prospects’, ‘estimated’, ‘aiming’, ‘on track’ and similar expressions. Such statements may be subject to risks and uncertainties that could cause the actual results to differ materially from these statements. We refer you to Syngenta's publicly available filings with the U.S. Securities and Exchange Commission for information about these and other risks and uncertainties. Syngenta assumes no obligation to update forward-looking statements to reflect actual results, changed assumptions or other factors. This document does not constitute, or form part of, any offer or invitation to sell or issue, or any solicitation of any offer, to purchase or subscribe for any ordinary shares in Syngenta AG, or Syngenta ADSs, nor shall it form the basis of, or be relied on in connection with, any contract there for. ©2019 Syngenta, 410 Swing Road, Greensboro, N.C. 27409. Thrive® and the Syngenta logo are registered trademarks of a Syngenta Group Company. RISE AGAINST HUNGER® is a registered service mark of Rise Against Hunger, Inc. All other trademarks are the property of their respective owners.